Kokomo is proud to host the 2012 Distinguished Young Women of Indiana (formerly known as Indiana’s Junior Miss) state program this week. Twenty outstanding young ladies (all high school seniors) from throughout Indiana are in Kokomo this week competing for the title of Distinguished Young Woman of Indiana. The winner will represent Indiana at the National program in June in Mobile, Alabama. For more information about the program, visit http://www.ajm.org. Preliminary Competitions will be held on Thursday, February 23rd and Friday, February 24th. Areas of on-stage competition include Fitness, Self-Expression, and Talent. Finals Night will be Saturday, February 25th. All competitions will be held at Kokomo High School starting at 7:00 p.m. Preliminary night tickets are $10 adults & $8 students. Finals night tickets are $15 each. Besides competing, the young ladies have had the chance to learn more about the host city through community tours, meals at local restaurants, and wonderful volunteers. Good luck to all contestants! We encourage the public to attend the event and cheer on the girls participating! KOKOMO, IN — The Kokomo/Howard County Convention and Visitors Bureau launched the final market test of the Visit Kokomo™ mobile app for iPhone® and iPad® devices last week. The CVB staff, in conjunction with the Visitors Council Marketing Committee, moved quickly with the project to have it available for visitors staying overnight in Kokomo during Super Bowl weekend. The app was promoted and specifically targeted to only those staying in local hotels. This tourism app was designed by BlueBridge Digital (BlueBridgeDigital.com) based in Indianapolis with the intent to assist visitors with finding information on things to do in Kokomo, including restaurants, local attractions, parks, lodging, and upcoming events. As more and more people have access to and are using smartphone devices when traveling, the Visit Kokomo™ app is another way to promote Kokomo as a destination and to encourage visitors to explore our city once they arrive. Visitors aren’t the only users encouraged to download the free app. Those that live in Kokomo and the surrounding areas will want to install the app to find our extensive events listing for local festivals, concerts, art shows, and other events for the year in Kokomo. The app will be available soon for Android® phones and tablets, with additional features coming for both Apple® and Android® platforms. Download the free app from iTunes App Store® or Android Marketplace® . 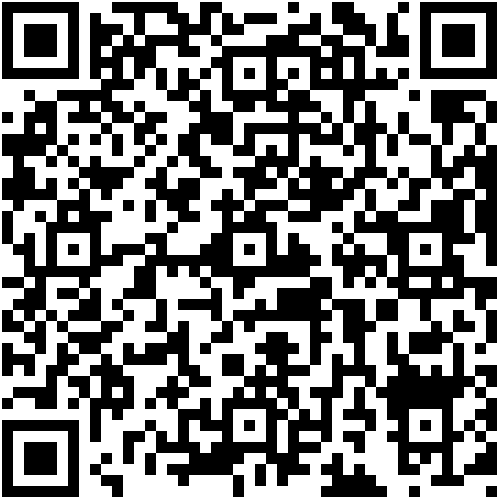 Search for Kokomo or simply scan the QR code to quickly install the app for Kokomo at your fingertips. As part of the Greater Kokomo Economic Development Alliance, the Greater Kokomo Visitors Bureau focuses on attracting visitors to the Kokomo, Howard County area. For more information contact Sherry Matlock at (765) 457-6802 or (800) 837-0971, information@visitkokomo.org.